IoT technology is receiving a lot of attention in various industries as a technology for creating new values, and numerous solutions are being proposed. It is a technology that can be used to collect data from everything and anything for data analysis, which then can be applied to improve convenience, to discover anomalies early or to prevent them, or to perform automatic control. There is a tendency in the IoT market to focus on the development of services that use data analysis and AI, but data acquisition is the foundation supporting this technology. This is because the type and characteristics of data to be acquired varies depending on how the data is going to be used. ROHM has been traditionally producing sensor devices, low power consumption microcontrollers, wireless modules, and so on, but to accelerate the expansion of the IoT market, it is developing modules with built-in sensing data processing functions (algorithm) optimized for applications and modules that integrate wireless communication. 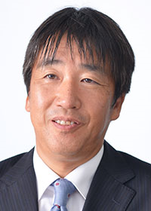 Takaya Nagahata is Group General Manager of Module Production Headquarters, and held this position since June 2016. He has built up the business which undertook joint development of the innovative foundry production of the actuator and the sensors solution for IoT Business as Machine Heath market and Medical, industrial use, Wearable, Automobile including Wireless and MCU. In addition, He performs the development of the new MEMS device by the fusion of the Thin Film piezoelectric and MEMS technique, for example accelerometer and Gyro, a piezoelectric microphone, an Infrared sensor, ultrasonic sensor, an Industrial actuator. Takaya Nagahata graduated from physical properties studies of Kansai University in Osaka, Japan and engaged Thermal print head and Contact image sensor in Barcode and POS printer market from 1983 to 1998. Thereafter from 1998 to 2008, He showed the leadership by micro lens array, energy harvester material in particular and has experience of the facility setup including administration for new factory in China. Thereafter from 2008 to 2016, He showed the leadership by MEMS device, accelerometer and Gyro, magnetic sensors, Gas sensors. Meanwhile, Takaya Nagahata brought these devices up in a share of worldwide No. 1 and has a patent more than 200 in a thermal head.